You accept this as an ‘academic’ dialogue and nothing else, I have seen some excitable & emotional exchanges on this topic. So, Ive heard this term used to describe folks similar to myself, “you live in a SharePoint bubble” when looking at our technological stance. Without agreeing or disagreeing with that definition, Id rather put forth another, one that I guess I can stand behind and defend. 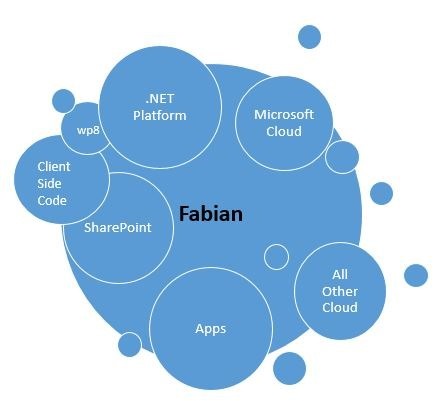 Id rather say that there is a Fabian bubble and within that bubble I have amongst my SharePoint bubble who is in there 100% of the way, various other technologies; some that I am kicking and screaming as I learn it, some I jump in at the deep end, some I am forgetting, some Im desperately trying not to forget. However the fact of the matter is that I do work with the Microsoft Stack specifically with SharePoint, it hasnt always been that way, and likely that too will evolve, but for now this is where I am and its been that way for some time now. As a result, when you ask me a technological question, my first thought will revert to what I know and love as long as its an viable solution, and THEN, I will start to look outside box… as you were, bubble… The analogy I can compare that to is, imagine you are a farmer and someone ask you what produce would you recommend for them to eat with dinner tomorrow; I gather they will think about stuff THEY grow, but if it is not readily available to them, they will suggest other things that the individual can buy.. right? So, just about everything else I am going to say will be tied back to this larger topic, but first I will do two things (1) I will disclose to you “HOW” these terms relate to me and what I have at my disposal, and (2) how I am defining the scope and usage of these words. Ease of Use – this one is a bit nebulous right? I can offer you both objective and subjective arguments to the same, but for the purposes of this discussion, lets go with – provides the same or similar functionality and features with the same amount of steps, and look and feel consistent. But knowing that, OEM’s, ISV’s, Consultants, Engineers, and anyone who is dependent on Technology to make a living should make their products or services with that in mind. Ill go one further and this is totally MY opinion here… No one Product or Service will have the magic bullet,its NOT an ee-ther or i-ther decision. In that vein, I have made a decision on what I keep around to use. I want one of my items to be a iDevice, i want one to be a Windows 8 device, one day I will probably want to get an Android as well, but I dont want a proliferation of devices either. Did I consider a Microsoft Surface? So what about the Pro huh? 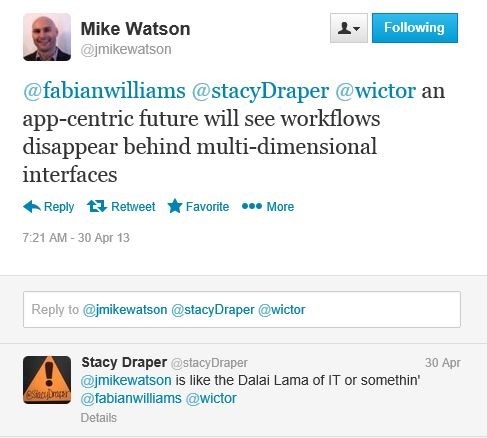 Well, back to who I am again and what I do; so I am a Developer by academics/profession, its what my degrees are in and what I get paid to do most of the time 🙂 So when I heard that you can install Visual Studio on the Pro, and you have Full Applications for Office etc, that peaked my interest…. but that was wayyyyyyy before i saw the Price OMG, are they nutz? Well when you, if you think like I do, start to say, well, I do like it, and so just how much time will I spend ‘cracking open Visual Studio’ on it, I had to say, hmmm I have a Laptop that has 24GB RAM, I use a few VM’s for my work, do i really need it? and again the answer was NO! Would I take one IF it was GIVEN to me? Well, Im not stupid… so Yes, would it have to be a Pro, again, probably Yes, because I see no benefit from getting a RT based on my above arguments. But I am developing Mobile Apps, so having the Form Factor available and accessible would be of benefit, plus there is the coolness and newness factor right? we are all humans here 🙂 So again Yes! What about switching to an IOS or Android Device for your Phone? Well, i NEVER thought about doing that. First, I like the concept/idea of having the phones capability LINKED to the PERSON rather than the Application. What do I mean by that? well on my WP8 device, if i want to send a tweet, email the person/group, all I need to do is locate said person/group and perform the application functionality I want to do [this goes back to Ease of Use and the App-Centric Society], now I am not saying other Phones don’t do that, but IMO not as well as Windows Phone 8 and I am also factoring in the Live Tiles Updates. I also write (or Im attempting to do so) Apps for the Phone and since I am a Microsoft Dev, these are the languages i know, so need I say more? Do I get tempted to switch because when I pull out my phone I want the same capabilities I have on my iPad — YES, but what I do is get some WIFI and do what I want, or I capture what I want (like a picture or video) and then use the App Later on a Device that support it for instance (1) I use Google+ to record videos for my Kids so they can watch it later on in life (as i saw on that Google commercial), so although inconvenient, I take my video on my WP8 phone, upload it to SkyDrive [which automatically Syncs to my Laptops, I have the App on my iPad] and then I use Google + on that device to persist and share my Pic or Video for my kiddos and anyone else. I believe that I (and maybe you) are better suited if you get best of breed among an array of technologies however stay true to what you gravitate towards easily. For me, I love my phone for what it gives me from an accessibility stand point, I love what my iPad gives me from a availability standpoint, and i trade off for my Ease Of Use between both.